Many of us puzzle at the presidential bid of Donald Trump. You just don't get to be a real estate tycoon, in Manhattan for heaven sakes, unless you are extremely well connected, with big-time ELITE persons. And many of Trump's positions seem very contrary to those that the elite hold. No wonder his comment "raises eyebrows." Perhaps Ronald Regan was a rare exception to the very real and evil reality that the global elite decide who will be president of the US, and in other counties too. I would be very surprised if voting machines are not, generally, just plain rigged. I very much suspect such, comparing polling data and voting data in the last presidential election in the US. Paul Joseph Watson's article is short and is well worth reading. I have suspected that Obama would NEVER leave office, but might engineer some evil way to stay on. 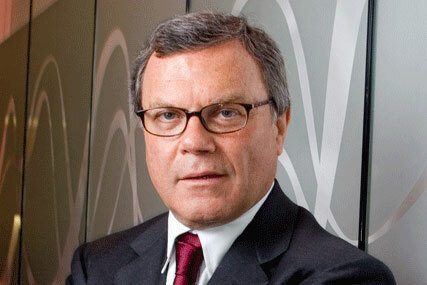 But if Sorrell is correct, then we will have Hillary instead. Wikipedia does record an impressive list of credentials on British businessman Sir Martin Sorrell. We are nevertheless speculating regarding the next US presidential election. But, it is naive to see, under scrutiny, President Obama's rapid rise to high position of power without realizing he has had tremendous, help, from his handlers, all the way, and he continues to have.